Vijay's most recent release was the super successful Sarkar. The film was produced by Sun Pictures and directed by AR Murugadoss. 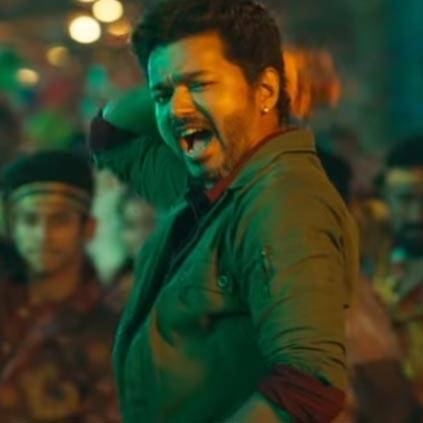 Sarkar has Keerthy Suresh in the lead and Varalaxmi playing the antagonist and with AR Rahman's music. Rapta Maara is the Telugu version of Simtaangaran which stunned the audience! Thalapathy Vijay is in sublime form with his dance moves in this folk number. With A.R.Rahman’s trademark uniqueness and Rakendu Mouli’s novel Telugu slang, this one is sure to get you singing once again. Hit play and let the local flavours strike you!